Christmas Miracles – Do They Exist After All?! 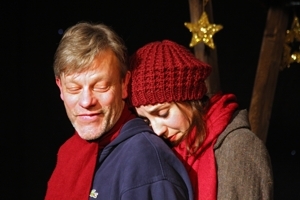 A young couple having a rendezvous in front of a punch stall at a Christmas market, two exhausted older booth owners who, like any other year, spend their time grumbling, a young mother searching for the perfect Christmas tree together with her partner and having a major fall-out with him – aren't these the proponents of Jutta Tidl's theater play 'Christmas Miracles – Do They Exist After All?!'? And then there's Daniel, who witnesses the colorful hustle and bustle with the openness of a child living in his own wondrous Christmas world. 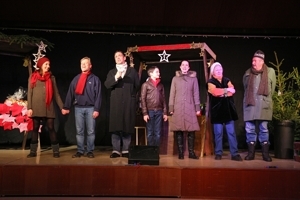 The play was an instant success at its premiere at the Vienna Atelier Theater in 2009, enrapturing the audience with its charm and humor. Including atmospheric songs, your whole family will experience a magical evening that will be the perfect start of Christmas season.